It is with tremendous sadness that ComingSoon.net (via The Hollywood Reporter) brings word that Marvel Comics legend and long-time impresario Stan Lee has passed away at age 95. 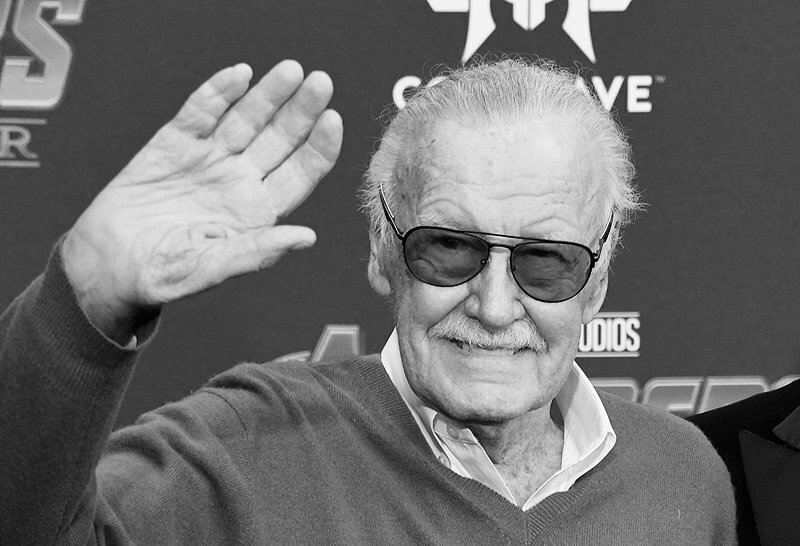 Known affectionately as Stan “The Man” Lee, he had been in ill health in recent months and had stopped doing convention appearances earlier this year. He was rushed from his home in the Hollywood Hills early this morning via ambulance to Cedars-Sinai Medical Center, where he died. Born Stanley Martin Lieber in 1922, he is best known as the co-creator of most of the major characters at the genesis of the Marvel Universe. His career at publisher Martin Goodman’s company began in 1939 when he became an assistant at what was then-known as Timely Comics. He spent the next few decades writing romance and western comics, but by the end of the 50’s the company was struggling. In a last-ditch effort, Lee decided to try to match the popularity of DC’s “Justice League” with “Fantastic Four” #1 in November of 1961. Co-created with artist Jack Kirby, the team was immediately popular and revolutionized the superhero genre by exploring the heroes’ flaws, vulnerabilities, failures and interpersonal conflicts. An avalanche of new hero books followed with Kirby, including The Incredible Hulk, The Mighty Thor, The Invincible Iron Man, The Astonishing Ant-Man and The Uncanny X-Men. With Steve Ditko he co-created Doctor Strange and Spider-Man (arguably the company’s most iconic character), as well as Daredevil with Bill Everett. He also revived old Timely heroes from the 1940’s including Sub-Mariner and Joe Simon & Jack Kirby’s Captain America. The team-up group The Avengers followed in 1963. While other iconic characters followed including The Inhumans, Silver Surfer, Black Panther (the first black superhero in mainstream comics) and The Falcon, Lee’s main creative contributions in the early 60’s formed the core of Marvel Comics. For nearly six decades Lee has been the genial face of Marvel, starting in the editorial backpages of the comic books where he addressed readers directly in neo-bohemian style through “Bullpen Bulletins” and “Stan’s Soapbox.” These columns also championed progressive social causes and the burgeoning issues of racism and Civil Rights. This connection to fans was strengthened by Lee’s steady lecture tours on college campuses as well as frequent convention appearances. Lee may have become the friendly face of Marvel, but he was not without his share of controversies. His relationships with both Jack Kirby and Steve Ditko deteriorated over issues related to ownership and Lee taking credit for what both artists felt was minmal input in the creation of the characters. Both men left the company and never reconciled with Lee. While he would periodically dabble in comics, Lee eventually left his editorial capacity at Marvel Comics to start the Spider-Man comic strip with John Romita Sr. and to try to bring his beloved creations to both the big and small screen. While the company had a major success on television with The Incredible Hulk series, other characters such as Spider-Man, Captain America and Doctor Strange failed to translate successfully on the small screen. Big screen success also eluded Marvel, with films such as 1986’s Howard the Duck, 1989’s The Punisher and 1994’s Fantastic Four all bombing and, in the latter’s case, never even seeing the light of day. Things turned around in 1998 when Blade made it’s successful debut in theaters, with the Wesley Snipes vampire hunter leading the way for other Marvel characters to hit the big screen including X-Men, Spider-Man, Hulk, Daredevil, The Punisher, Fantastic Four and Ghost Rider. In 2006 Kevin Feige and producer Avi Arad began Marvel Studios, with 2008’s Iron Man and The Incredible Hulk leading the way for what was to become one of the most successful cinematic franchises of all-time, and the first true cinematic shared universe. Lee served as executive producer on all these films, and became famous for making cameos in nearly every one alongside his famous creations such as Thor, Black Panther, Doctor Strange and Ant-Man.